18" Long. 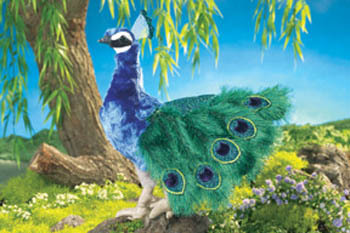 This colorful and amazing puppet has a fully open, multi-colored tail feather display. Puppet features multiple hand operations to work the head and neck, legs, and features. Large enough to work with both hands.